Ryan Gosling has a dream but its not what you would expect. It isn’t riches or success or notoriety; he has already achieved those lofty goals. No, Gosling has something much more specific in mind. “My dream is to create a character that people go out as on Halloween,” Gosling tells me when we meet at the Toronto International Film Festival. He says this with full sincerity and not a single trace of sarcasm on his beautiful face. 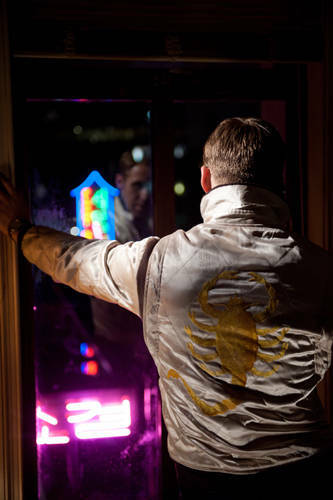 It was Gosling who pushed for DRIVE to be made and also for Danish director, Nicolas Winding Refn to helm. And once those two got started, there was no stopping them. “Nicolas and I creatively copulated and this movie baby was born and then we had to raise it,” explains Gosling. When he says things like this, he looks straight at you and doesn’t even flinch. It’s impressive. The buzz behind DRIVE is as loud as the film itself and if it connects with audiences, which I assure you, it most certainly should, Gosling has the chance to continue solidifying his status as one of the most intriguing and marketable stars working today. Not too bad for a boy from London, Ontario. His work in this summer’s CRAZY, STUPID, LOVE was the best of the bunch and he also stars in next month’s THE IDES OF MARCH, directed by none other than George Clooney. Oscar is abuzz. 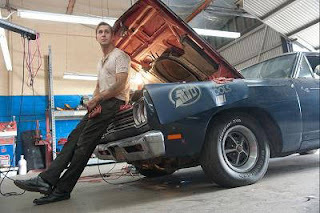 And if that movie happens to have Gosling in the driver’s seat, all the better. good interview! i love ryan gosling! Thanks! Gosling was a great score for me at TIFF. I was really hoping for the chance to speak with him and was so happy when it came through at the last minute. He was certainly interesting to speak with; you could tell to some extent that he treats speaking to the press like a game that he has to win. I saw Drive for the second time yesterday. Yum.